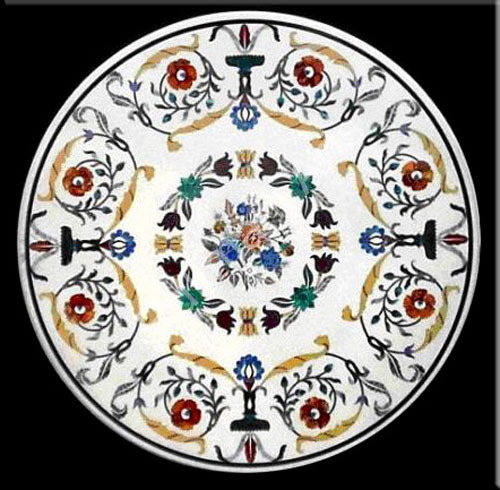 marble inlay table top,marble inlaid dining tops, italian inlay tabletop, marble inlay floor hotels, offices, villa projects, antique marble inlay floor, exporter india, stone crafts suppliers, marble handicrafts suppliers, marble crafts, marble crafts manufacturer, marble handicrafts exporters, marble handicrafts,marble handicrafts manufacturers,marble stone handicrafts,stone handicrafts supplier, marble inlay tabletops, marble inlay floor and marble inlay tile, mosaic floor, marble inlay, interior ornaments and garden ornaments, semi precious table tops, marble mosaic, lamp post, marble wall panels, fireplace manufacturer, marble figures from india, exporter india, manufacturer and exporter, india manufacturer, Rukmani Arts & Exports,Rukmani Arts & Exports Welcomes you, This is Marble Inlay Art section, Here you Will find pictures of best quality inlay work on white marble, black kaddappa marble, italian marble etc. 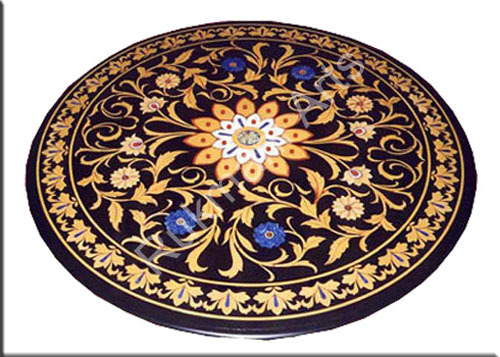 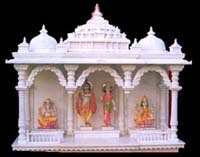 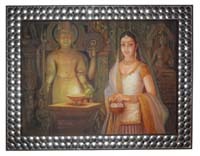 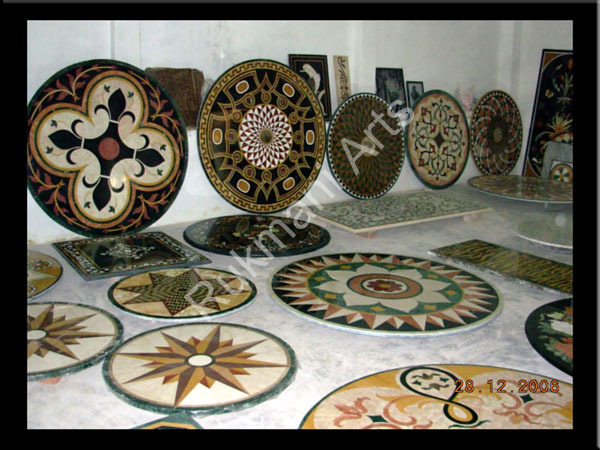 Marble inlay craft or Pichchakari is one of the most beautiful and popular forms of Indian art. 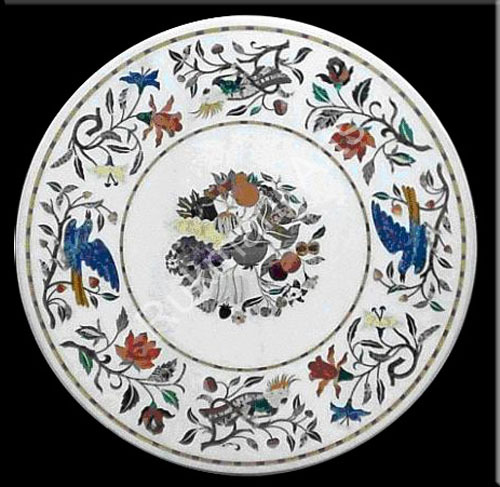 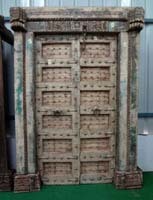 It is said to be introduced in India by the Mughals in 17th century. 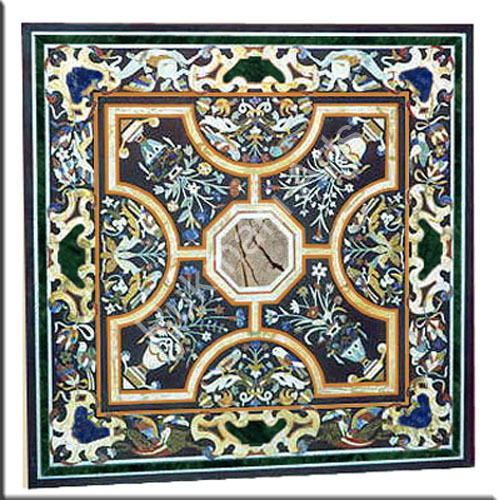 Mughals were renowned for their passion for art and the period of their rule was the golden period of India's exquisite architectural history. 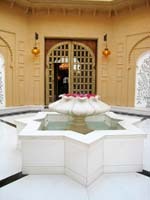 Of all the Mughal Emperors, Shah Jahan was the greatest patron of architecture in India. 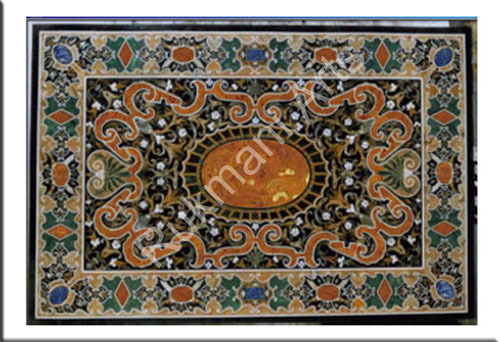 The Taj Mahal in Agra, the cenotaph of the emperor and his wife, is a classic example of masterpiece of beautiful marble inlay. 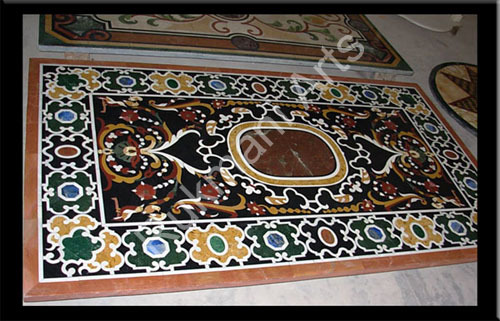 Since then the exquisite marble work has been an integral part of the cultural heritage of Agra. 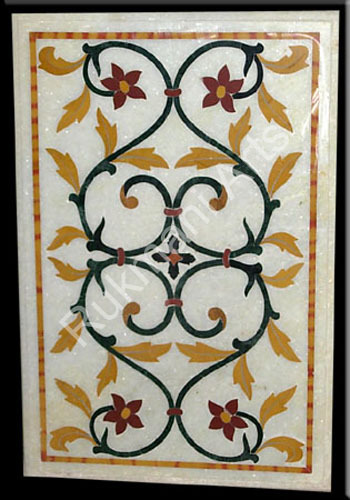 In the marble inlay work of Agra, floral, trellis, creeper and geometric patterns are finely carved on the marble surface and embedded with semi precious stones. 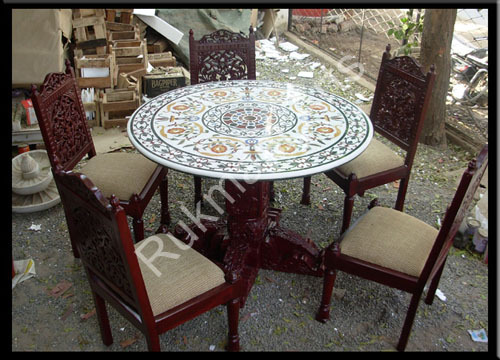 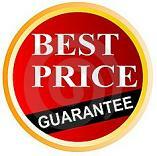 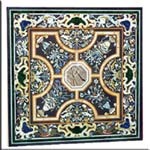 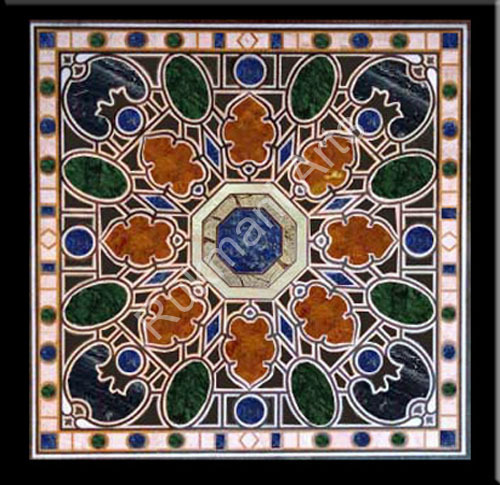 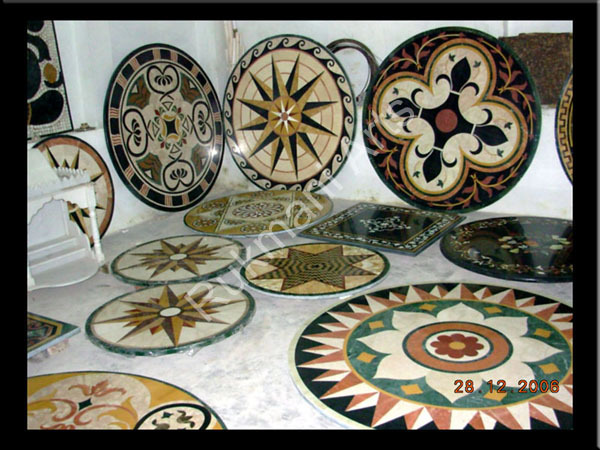 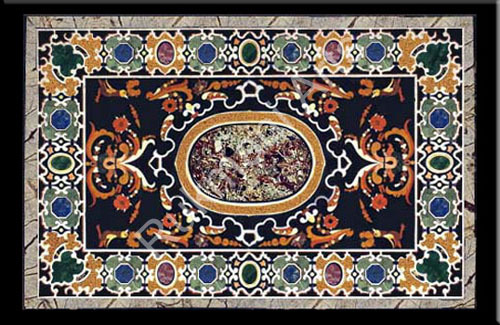 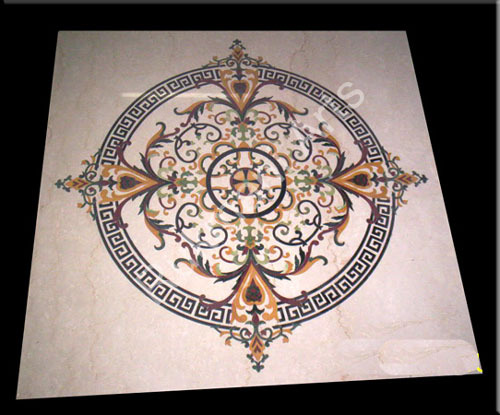 The art of marble inlay work begins by careful planning of designs and setting the color patterns. 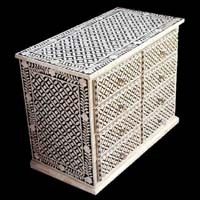 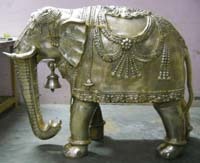 The craftsmen use the tools that are much the same used in the Mughal period. 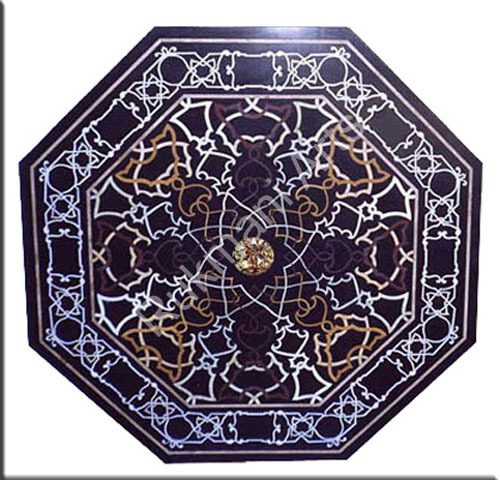 A floral or geometrical motif is cut out on a brass sheet. 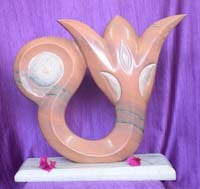 After placing it on marble, it is drawn and then the marble is carved out. 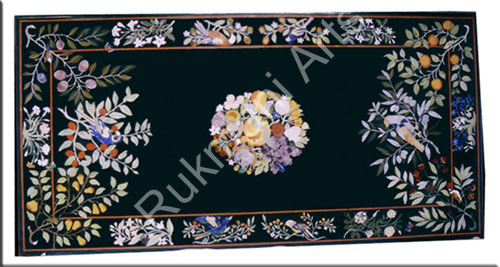 A careful selection of various shades of semiprecious stones is done to give the right gradation and shading to the flowers and other motifs. 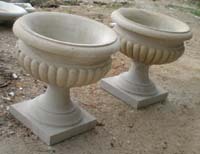 The selected stones are then shaped with the help of especially made emery wheels. 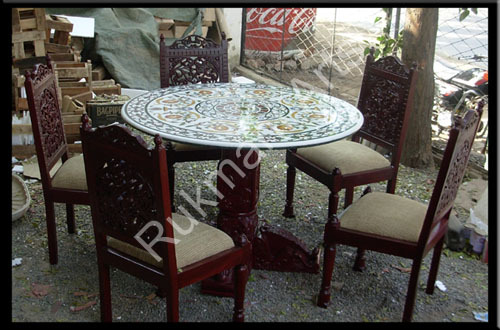 Each part of the design is shaped individually, which requires a lot of patience. 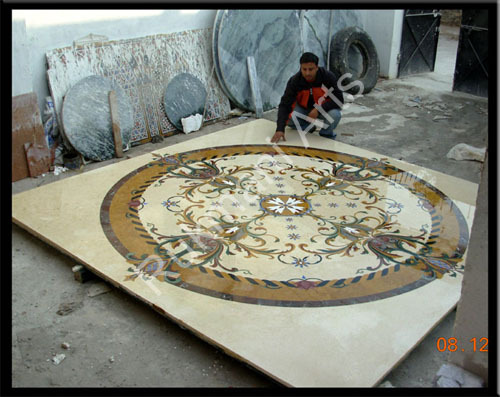 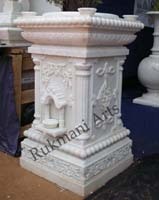 After all the stones are shaped a different group of artisans inlay the stone motifs in marble. 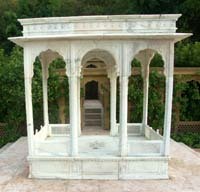 They cut grooves in marble with a help of an iron chisel. 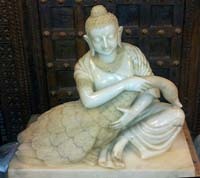 These grooves are of the same size for the stone to fit perfectly. 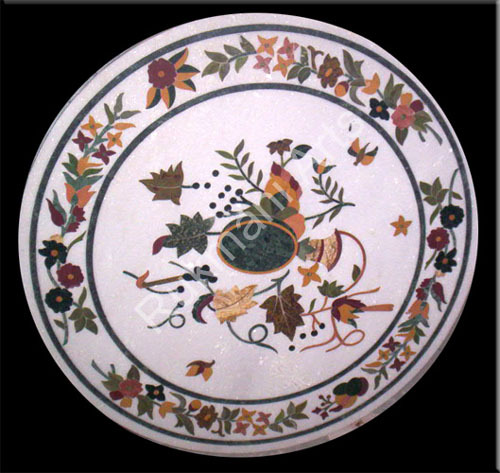 The stones are inlaid / set in the grooves with adhesive that is a mixture of oil, lead oxide and wax made into white putty. 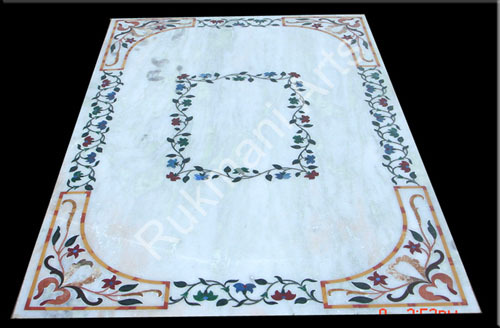 The marble inlaid articles are then hand polished with the help of a traditional polishing powder applied on the surface with a soft muslin cloth. 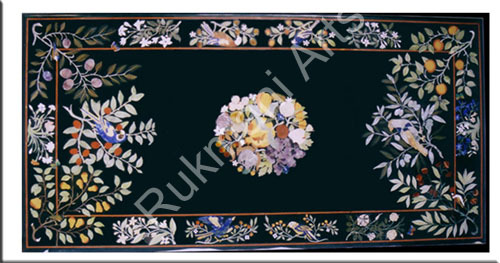 The whole process calls for sharp, dexterous hands, patience and high accuracy.